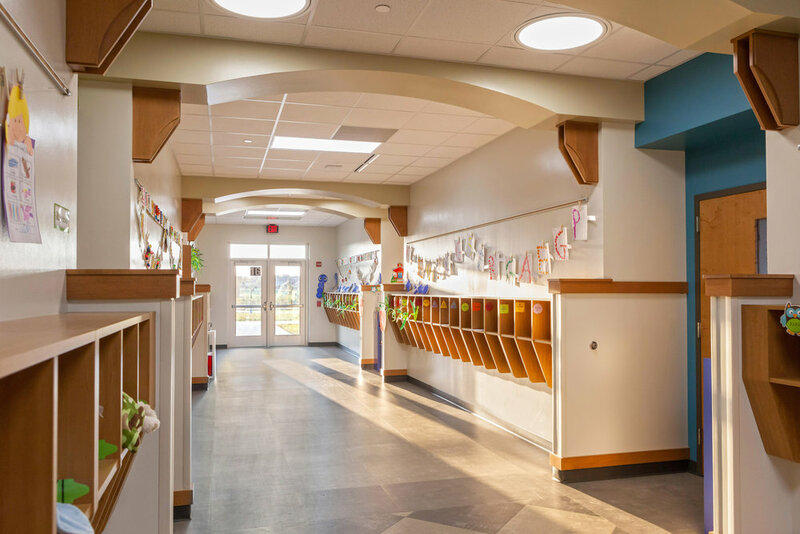 GROTH Design Group developed a master plan for a new K-8 school which includes the school, school additions and a potential new church. The architecture of the building is meant to complement the existing church, but give the building a sense of youth through the use of modern design elements. The building houses an early childhood through 8th grade, two-track school with approximately 500 students. 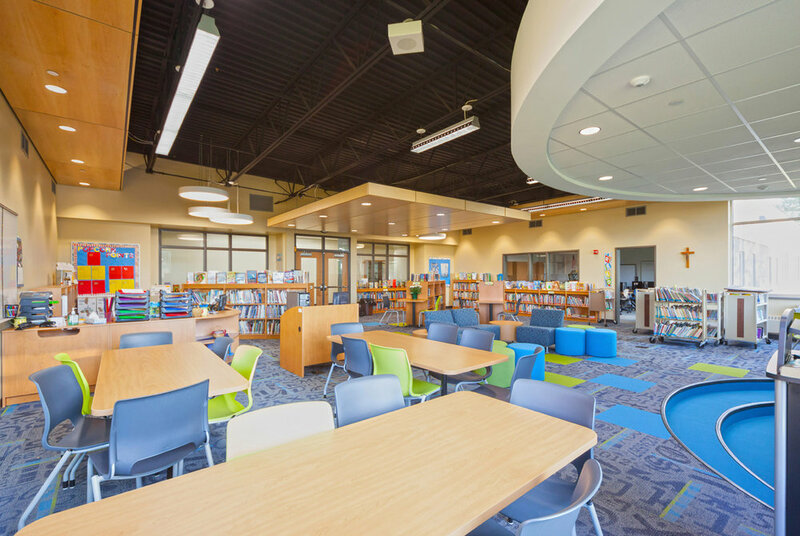 The design includes a gym, library, daycare, school offices and support functions. 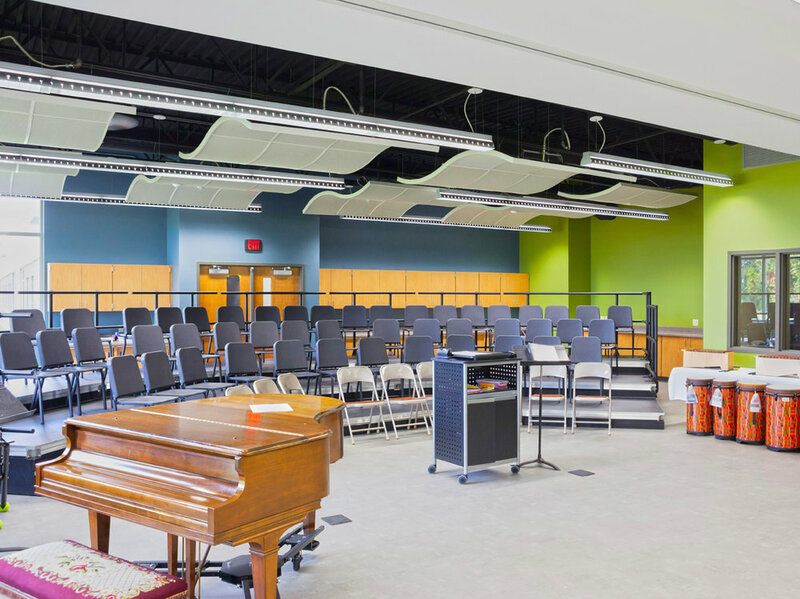 The gymnasium /performance area includes a hardwood sports floor, acoustical treatments, theatrical lighting and sound, and robust branding.